Being chosen by God is designed to secure for us the sweetness of humility. The more we consider being chosen, the more the wonder of it grows. And Paul tells us to consider it. 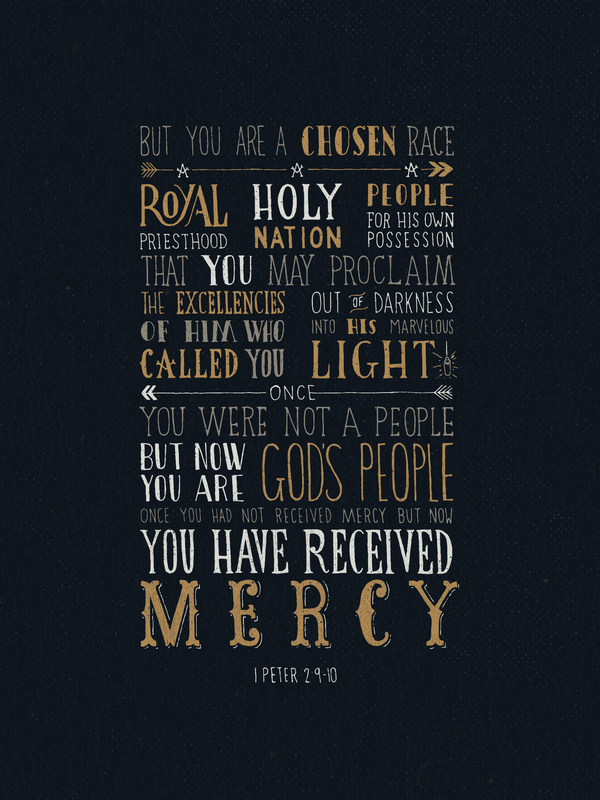 The reason he wants us to think about being chosen (Do you? — With joy?) is that it will make us humble. Here’s the passage that makes this point. He starts by telling us to consider our “calling,” because this calling — from death to life — is the way we actually experience in time the choice he made in eternity. Then he mentions three times our being chosen. Do you see the point? God is free to choose who will become Christians. And in his freedom he explodes all worldly expectations of who is “special.” Just when we think we may have him figured out in his choosing, we see he has gone another way. Paul doesn’t leave us to guess what the point is. It is this: “so that no human being might boast in the presence of God.” God’s choosing is designed to remove our boasting. Any group, or any person, who boasts that there is something in them that justifies God’s choosing them, has not experienced what the choosing is for. It is for the annihilation of self as the basis of God’s favor. We did nothing — absolutely nothing — to qualify for being chosen. Revel in this. You carry no burden to measure up to the merit that qualified you for being chosen. There is no such thing.